Industry-leading patio enclosures are available for homeowners in the Warminster, Pennsylvania, area thanks to SRA Home Products. Patio enclosures allow you and your family to relax in an outdoor space surrounding your home without having to endure common nuisances like bugs and windblown debris. 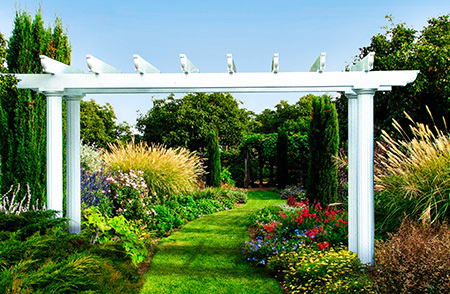 These structures also make the perfect place to host a party or gathering, as you and your guests can remain in a protected location while still enjoying the views and fresh air around your home. Durability – TEMO’s innovative TEMKOR surfacing on these structures’ already strong extruded aluminum construction helps to prevent damage from inclement weather, impact, scratching, and more, so your patio enclosure will continue to look like new for years to come. UV protection – Every TEMO patio enclosure features a heat-deflecting thermal roof and removable vinyl sashes that block up to 99 percent of UV rays, providing invaluable protection from the sun. 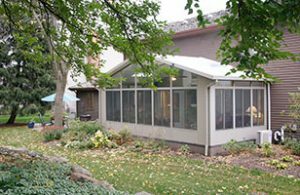 Flexibility – Any of our patio enclosures can easily be transformed into a sunroom down the road, making it an ideal product for homeowners who are considering a more elaborate home addition but aren’t quite ready to commit. Furthermore, every installation we take on at SRA Home Products is carried out by our in-house, factory-trained and -certified technicians. Because we never enlist the help of subcontractors, we guarantee that only qualified, dependable individuals will work on your home, and that they will display the utmost care, precision, and respect through every phase of the installation process. 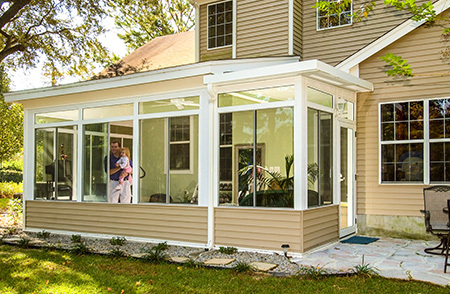 Contact SRA Home Products today to learn more about the benefits of the patio enclosures we provide to homeowners in Warminster, PA, and surrounding areas. When you do, don’t forget to ask about the manufacturer’s lifetime transferrable warranty to ensure your investment is protected.